In this new Youtube channel of Lawyers in Barcelona We will present videos about legal issues, so that with a simple viewing you can make a clear idea of ​​its meaning and how it can affect you. Always choose issues because of their importance, timeliness or overall impact, you may find interesting. We use a plain and transparent language, for ease of understanding, so that you yourselves can get an clearer idea. Three videos on banking issues such as soil Clause, IRPH and mortgage costs. To do in case of IRS audit. Inheritance tax in Spain (border inheritance). Although many of you already receive our newsletter regularly (Subscribe now), Now with the nearest and immediate initiative, we trasladaros our expertise in all legal issues that seem interesting, providing primarily quality content. Business law (that is, incorporation of companies, insolvency and contractual). We can cater for all your inquiries Catalan and Castilian also in the following languages: English, French, German, Italian and Chinese. We hope that this new tool is useful for you and of course, we are at your entire disposal to expand the information that may interest you. You can call or write, all information find them on our website. Thank you very much for your attention, you are welcome! What lawyer do I need? What you must know a lawyer? 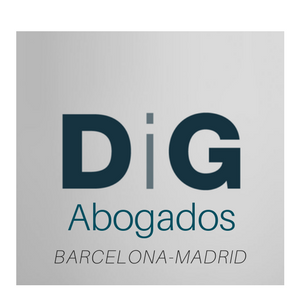 © 2019 DiG Abogados, all rights reserved. Legal warning. Data Processing Policy.